As the days count down to the print edition release of LUNADAR: Homeward Bound on Monday, October 15, 2018, I’m up to my eyeballs in marketing. I spend all of my free time trying to think of ways to promote my book. On one of my other posts I talked about mailing out 142 postcards to school libraries, public libraries, as well as chain and indie bookstores. Of the 142 cards sent out, 17 were returned. Fifteen of those business have either moved with no forwarding address or have closed down for good. Two of the returned envelopes were due to errors on my part and can be resent shortly. Now to the next phase. I knew when I wrote Lunadar that the reality is I probably won’t make much money (if any) off this book. I’m okay with that and here’s why. I have a vision for this new publishing company I’ve created and these first few years will see me spending more money than I will receive in overall revenue. There is a strong mission behind Story Catcher Publishing and this current book is just the beginning. The next thing I’m doing is giving away hundreds…if not thousands…of copies of LUNADAR: Homeward Bound to any teacher or school librarian who asks for it. As part of my LUNADAR Pay It Forward Program, any educator or school librarian who requests it can receive my book for FREE. All I ask is for them to share it with their students and for anyone reading my young adult fantasy novel, to leave a short, but honest review on Amazon when they are done. There will also be prizes. Yep! When a teacher or school librarian requests a copy of LUNADAR: Homeward Bound, their school will go into a drawing to win an autographed copy of my novel as well as the possibility of receiving a FREE author visit from me as well! There will be five winning schools. The deadline to leave a review and enter the drawing is Friday, November 2nd, 2018. If you have any questions, just leave a comment on this post or send me an email to donasdays (at) gmail (dot) com. Be sure and tell any of your friends who are educators or school librarians anywhere in the continental US about this chance to receive FREE copies of my young adult fantasy novel as well as their chance to win an autographed copy of LUNADAR: Homeward Bound for their school. Did I also mention there’s even some group discussion questions at the back of the book for literature classrooms and book clubs? Can you help a poor gal out so I can pay some writerly love forward? International best selling, award winning author, Donna L Martin, has been writing since she was eight years old. She is a 4th Degree Black Belt in TaeKwonDo by day and a ‘ninja’ writer of children’s picture books, chapter books, young adult novels and inspirational essays by night. Donna is a BOOK NOOK REVIEWS host providing the latest book reviews on all genres of children’s books, and the host of WRITERLY WISDOM, a resource series for writers. 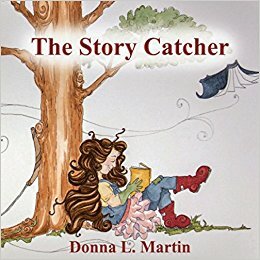 Donna is a member of the Society of Children’s Book Writers & Illustrators and Children’s Book Insider. She is a lover of dark chocolate, going to the beach and adding to her growing book collection. Donna’s latest book, LUNADAR: Homeward Bound (a YA fantasy), ebook edition, is now available from Amazon, Barnes & Noble, Books A Million, Goodreads, and other online retailers. Promotion is so difficult. As you say, it’s a long road to perhaps no reward. Except I feel that just having one reader of a book we believe in is reward enough. Best of luck in getting LOTS of readers. Thank you so much for your kind words! Story Catcher Publishing has a much larger mission than just putting out my books and I’m hoping by marketing LUNADAR: Homeward Bound as I am, it will spark interest from others in learning what bigger adventure I have in mind for writers everywhere that I hope to roll out by 2020!